Chat bots were a big thing in the early 2000s but now they’re mostly just annoying things on Twitter. Not so with Send Me SFMOMA, text this bot for some great art. You let it know what you’re looking for and it will send you a surprise. The San Francisco Museum of Modern Art has way more pieces than can fit on their limited wall space. In order to show off their collection, they built this service. 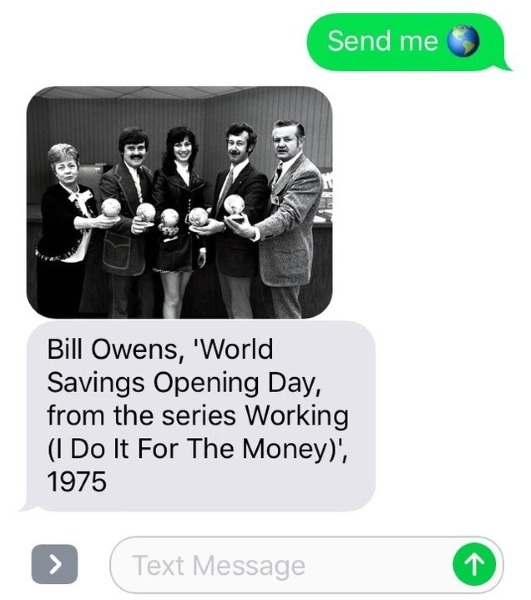 All you have to do is text “Send me ____” and the bot will send you an image from the archives in return. Fill in the blank with your desires, a color, a figure, a feeling, or even an emoji. The service is free (standard text messaging rates will apply) and open to anyone who can text. Each return text consists of the image and the information on the piece. The hope is that this project will engage more people in the arts and of course that more of these pieces will be seen by the public. You can text them at 572-51.